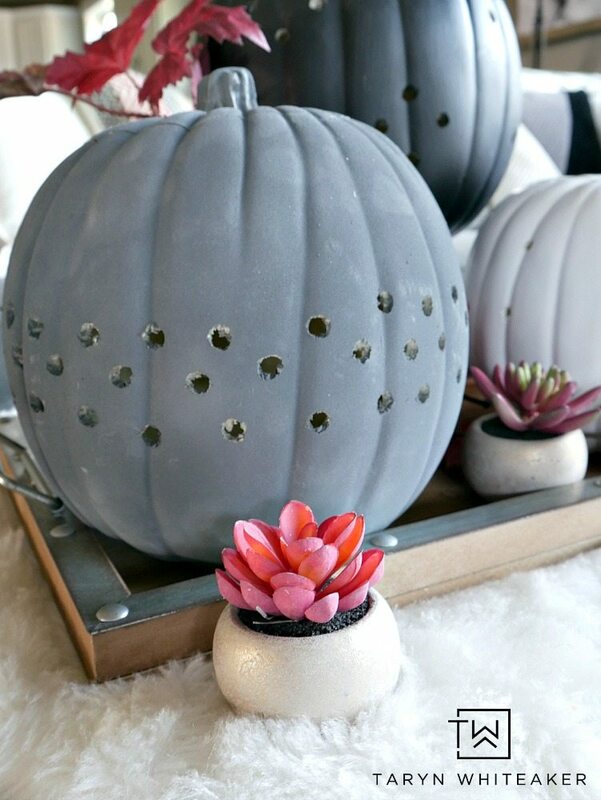 It’s time for the first NEW fall project of the season! 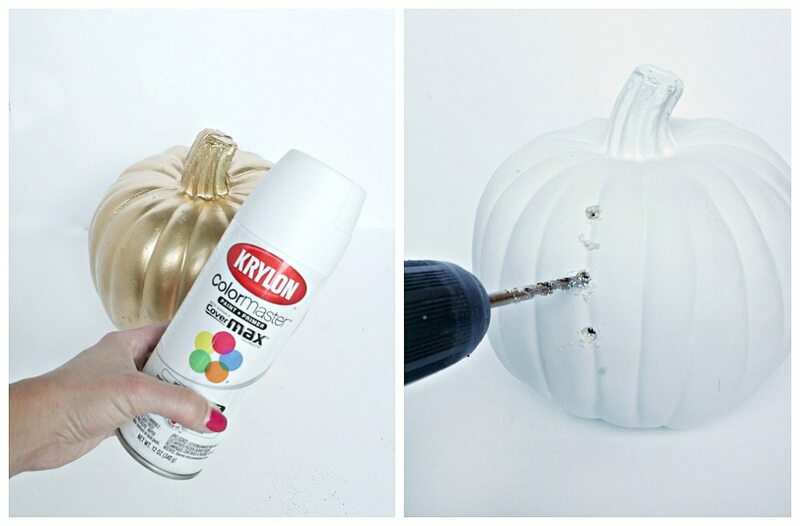 I love creating new pumpkins to place around the house, and I’m so excited about these DIY Drilled Pumpkins. 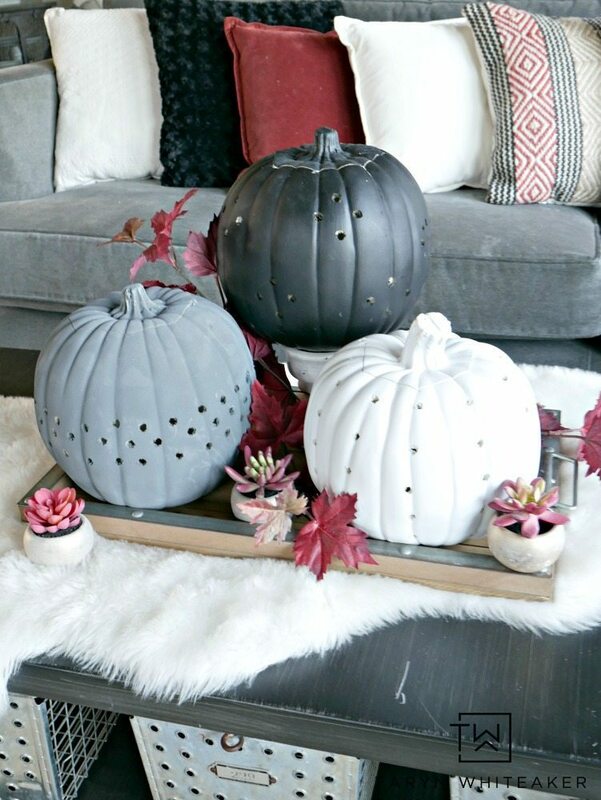 And keep scrolling down to see more DIY Fall Decor Posts from other talented bloggers. If you know how to use spray paint and can hold a power drill, that’s all you need!! 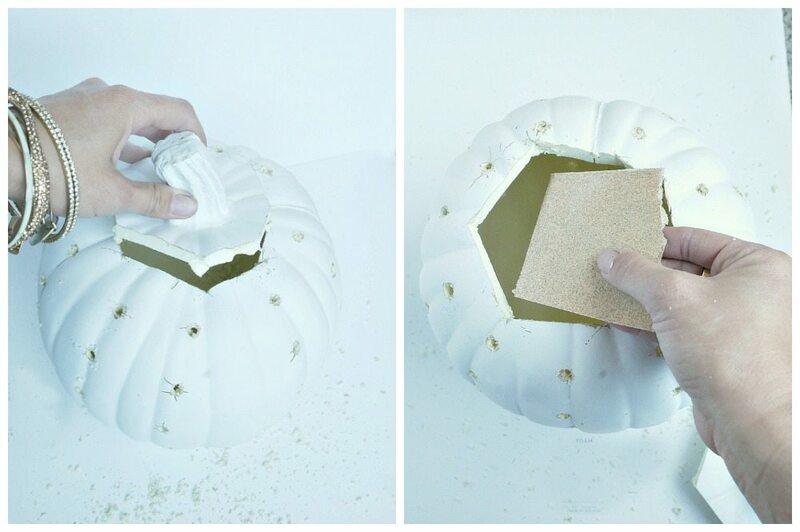 These pumpkins are seriously so easy to make and you can do them in an afternoon. For now, I have these displayed in our living room, but I have a feeling they are doing to be moved around quite a bit this season! I’ve been playing around with different color schemes of fall and I think I am settled on this earth tone color scheme with pops of a deep burnt orange. It will transition nicely through early-fall, Halloween and even thanksgiving. Using a tool with sharp edge, cut the top off so you can lift it off. The holes will not be smooth on the inside, so I took a sheet of sandpaper and gently sanded the inside to get rid of the excess foam around the holes. 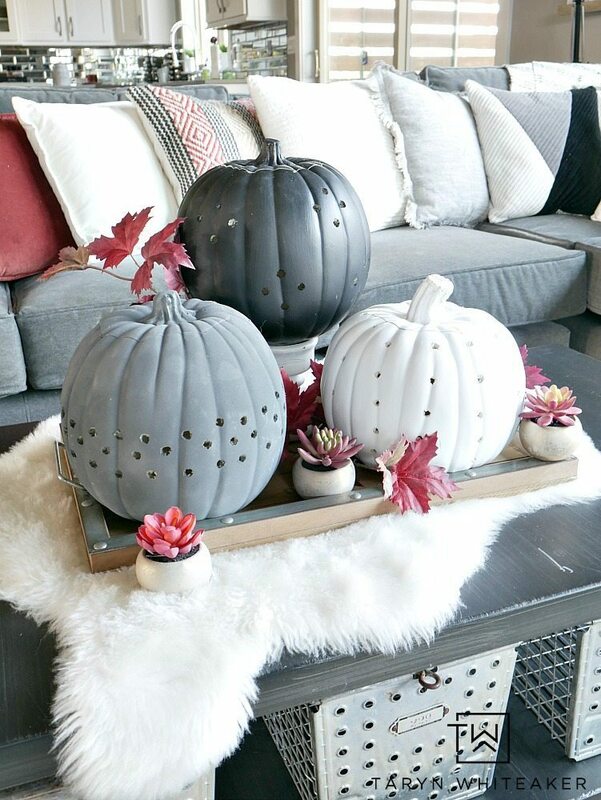 After this part, I gave the pumpkins an additional coat of pant to cover up any damage done by the power drill. Insert a battery operated light inside and then get ready to display ! I can’t wait to show you more projects I have in the line-up for this fall! 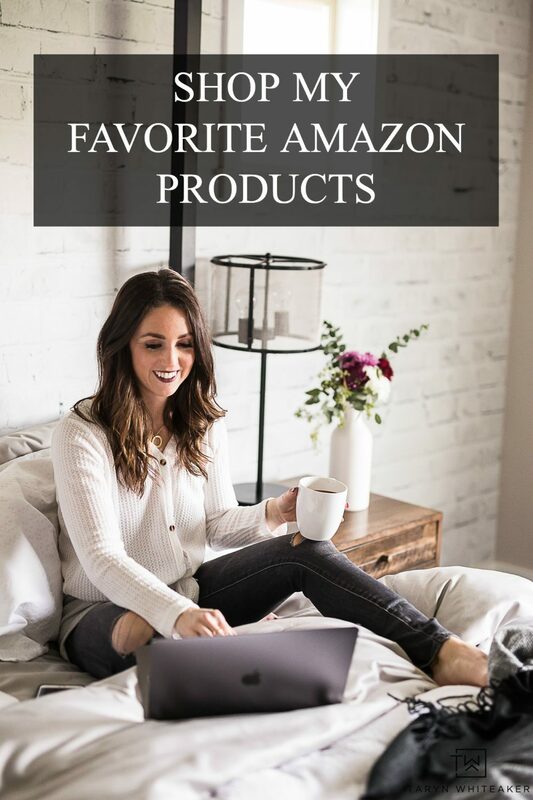 But in the mean time, here are 4 other projects for you to browse through and add to your to-do list this season! 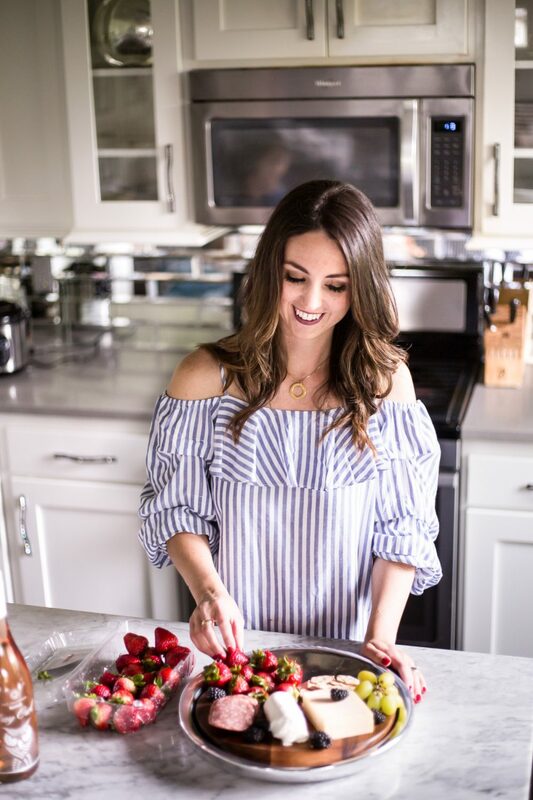 Love all of these sweet bloggers. Such a cute project, Taryn! 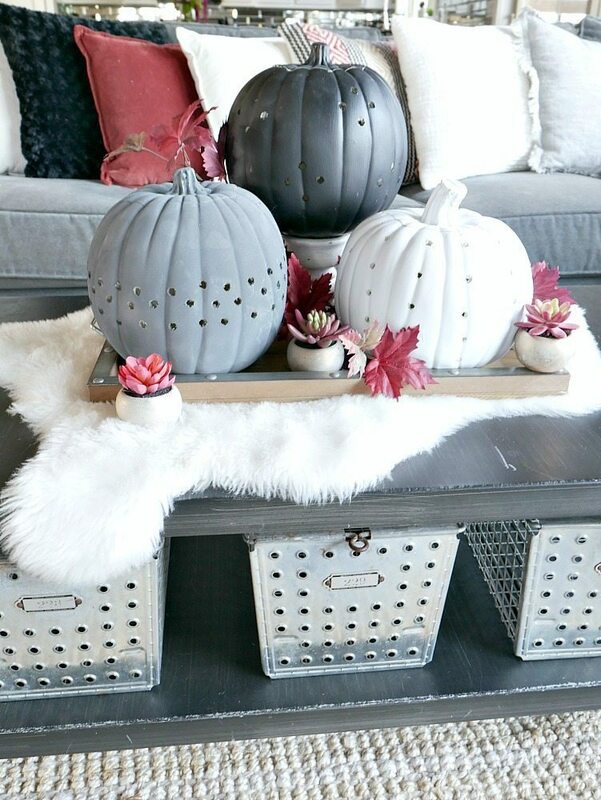 I love how the holes in the pumpkins mimic the metal baskets below. Clever arrangement. Thanks so much for organizing today’s tour! These are very unique and go well with the metal holed baskets, i may have to copy part of it. Thanks, just visiting. 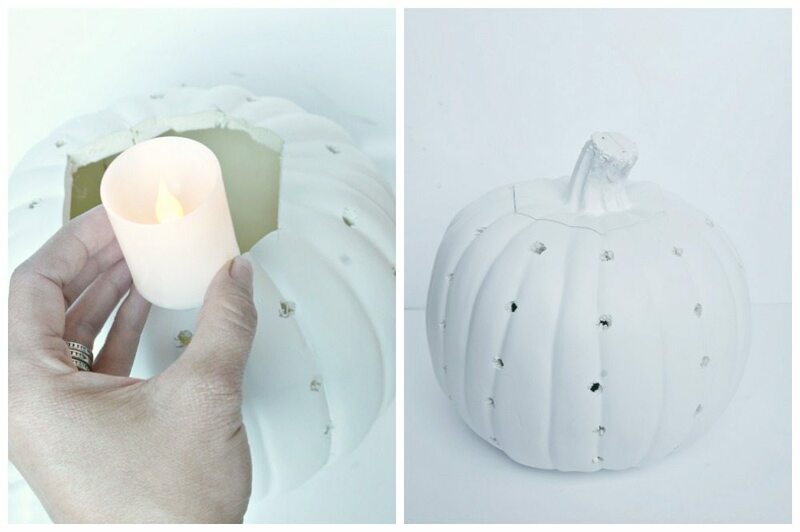 Such a simple way to add a sleek design to faux pumpkins. Thanks for sharing on Merry Monday. Will be featuring this in a pumpkin roundup.